Mike was born and raised in Southern California and currently resides in the Sierra foothills of Northern California. His artistic ability was noted early in life but he chose a public service career before turning to art full time. 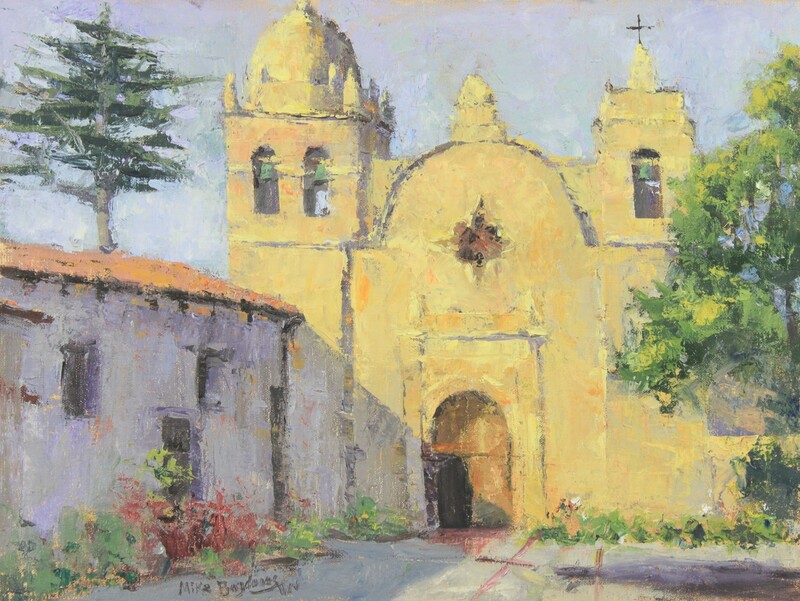 Mike attended the California Art Institute in Southern California for his formal art education and has attended many workshops held by living master artists in the plein air, landscape, figurative and portraiture genres. He also has an extensive art library including books and videos and stdies them extensively. 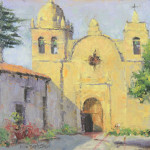 He is a member of many professional art organizations including the California Art Club and Oil Painters of America. Mike loves the great outdoors and in particular our Nation’s National Parks. He generally paints “en plein air”, but also paints larger studio paintings from plein air studies. 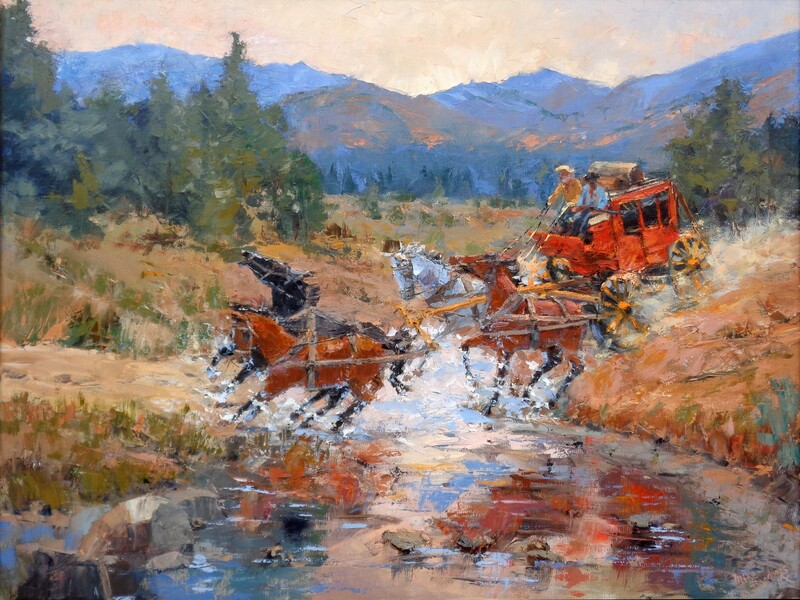 He believes that great works of art are painted primarily from life and takes pride on being able to paint from life quickly and accurately whether the subject is our beautiful western landscape or a model posing in period costume. 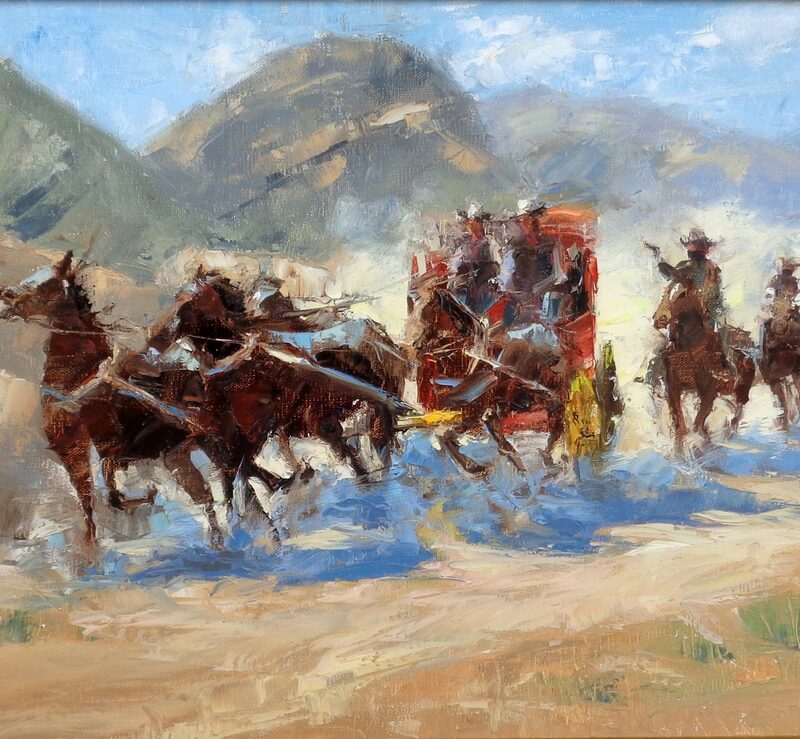 Mike also paints scenes of working cowboys and American Indians from his love of our American heritage. Mike has been competing in art competitions for the past decade and has received many awards and honors at the National and International levels including several artist choice awards and the 2010 Region Three Winner in the National Paint The Parks competition. 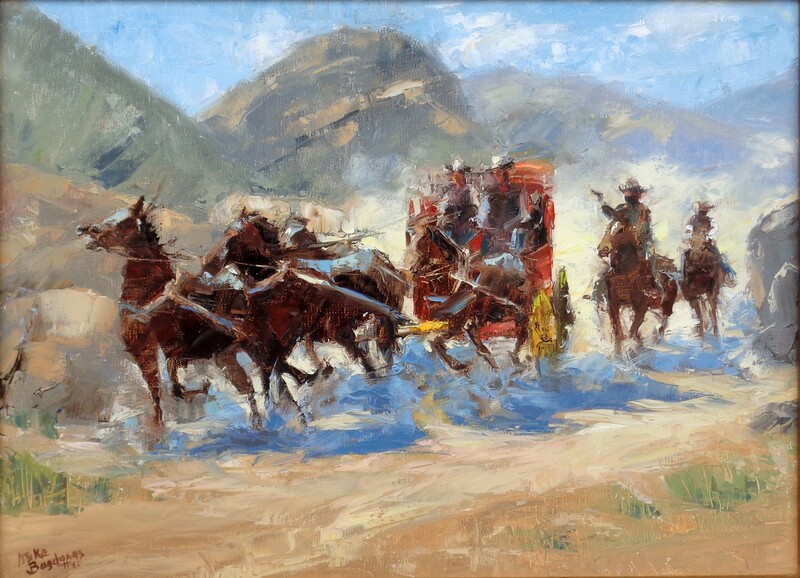 He was also honored by an artist profile article in the September/October 2013 issue of Plein Air Magazine entitled, “Effective Use of the Expressive Palette Knife”. Mike has taught workshops, demonstrated his painting techniques, held member critiques and judged member shows for a number of Northern California art organizations and galleries. Mike has also shown his paintings at numerous quality art galleries the last ten years as a represented artist and with other artists in prestigious national and international level group exhibitions. His paintings have also been in many exhibitions at special venues such as the Kolb Studio on the south rim of the Grand Canyon and at a number of art museums throughout the country. Mike is in numerous art collections in the United States and abroad and is currently represented by the New Masters Gallery in Carmel, CA.